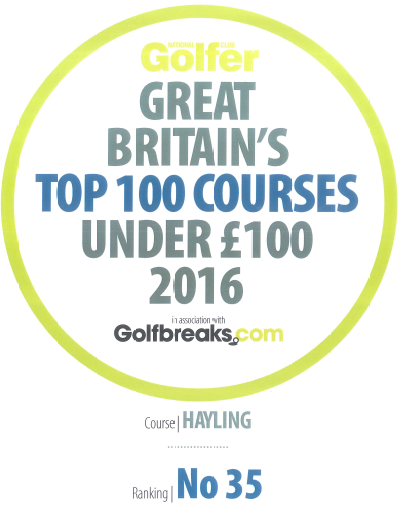 Congratulation to Hayling who both hosted and won the Friendship Bell in 2016! CLICK HERE to view the Results from the day. 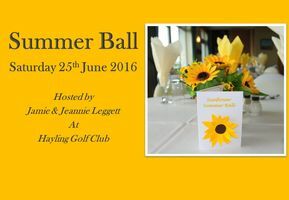 Jamie Leggett's Summer Ball for 2016 had a 'Sunflower' theme and was a raving success! Tickets were sold out in less that 2-weeks in anticipation of a great night, which did not disappoint. The catering and entertainment from a live 6-piece band ('Life & Soul') was complimented. CLICK HERE to view the photos from the night. Hayling hosted the final of the Ladies Hayling Trophy Competition between Oak Park and Royal Winchester, with Oak Park winning the Hayling Trophy, and Royal Winchester giving all they had, but having to go home with the Runners Up Salver. If you would like to see some photos from the day, click on the photo below of the winning team - Oak Park and you will be able to view a slideshow. Hayling was proud to host the annual Hampshire County Championships in 2016. The course and standard of play was top-class and did not disappoint!